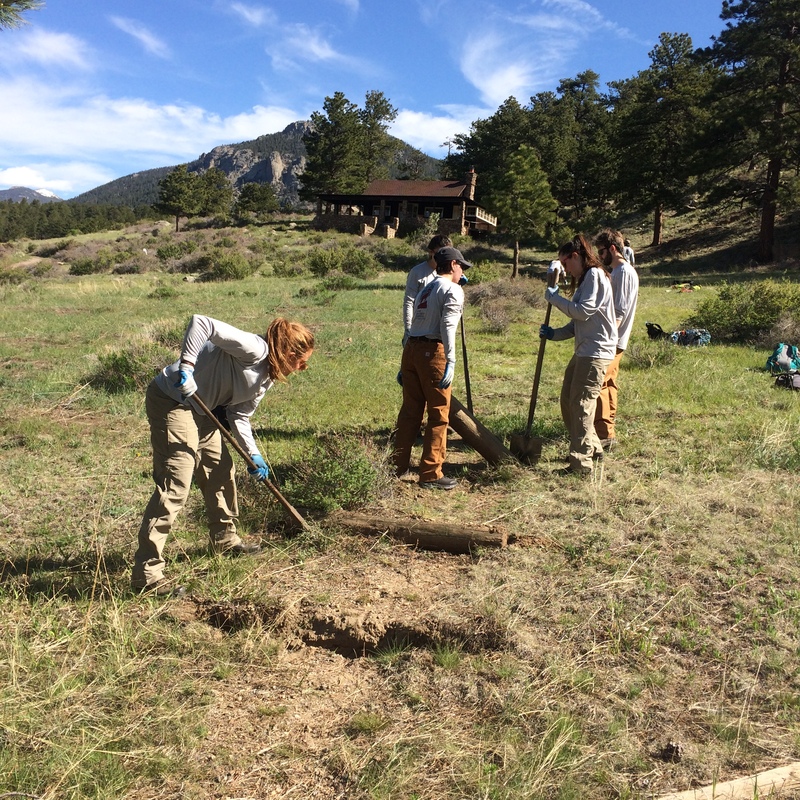 After a busy week of training, orientation, and educational activities the crews have flown the coop to their respective workcenters, bunkhouses, and campgrounds. 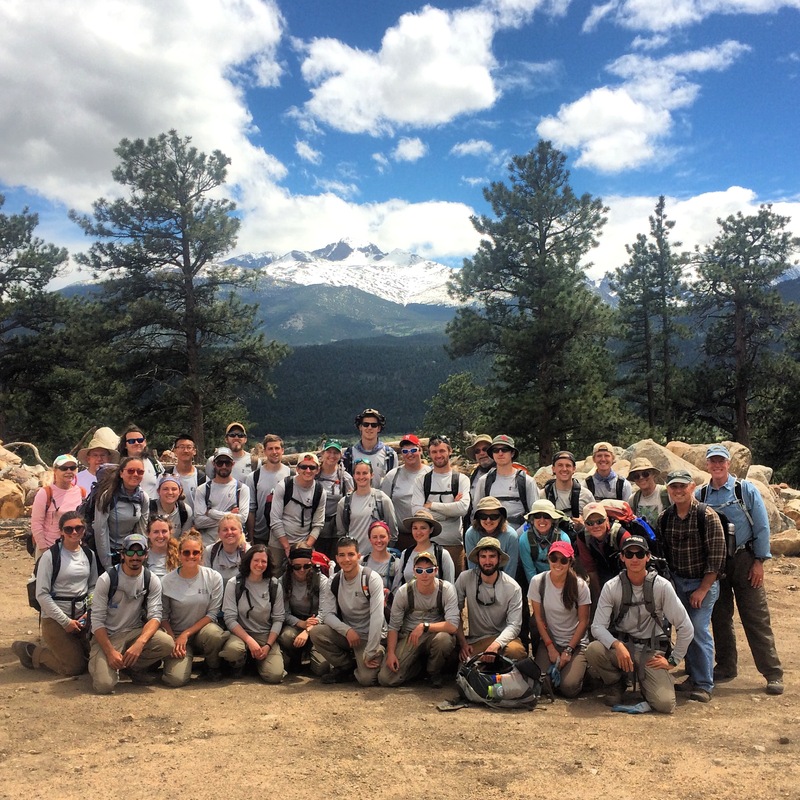 With everyone out in the field, its time to recap orientation week. The week started out with everyone arriving and settling into Moraine Park Campground. After a day of logistic, paperwork, and gear distribution, all crews dove right into the training activities. 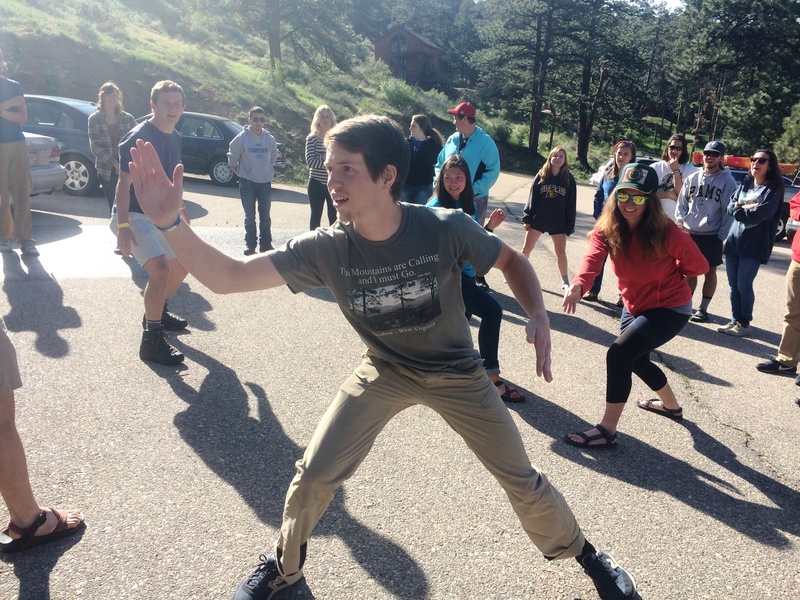 It started with First-Aid/CPR training from the National Park Service. 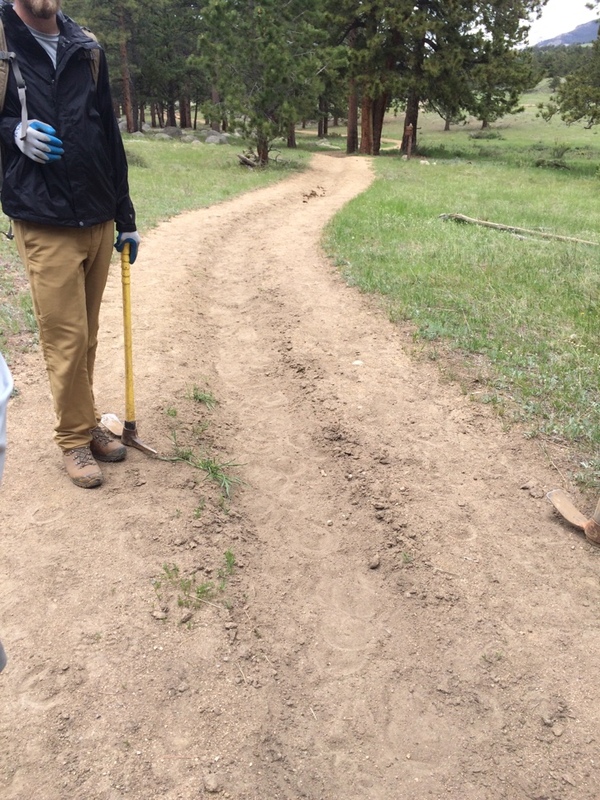 For those already trained, we got out into the field to help clarify the trail to the William Allen White Cabin and clean up at Glacier Basin Campground Amphitheater. 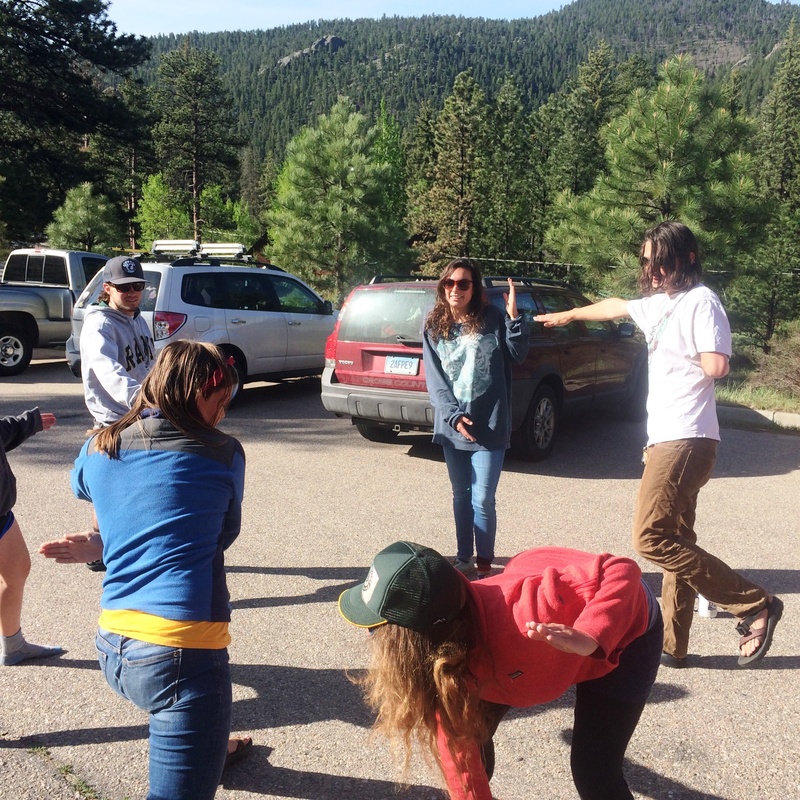 The next morning brought everyone back to the Field Institute to prepare for driving agency vehicles with the USDA Forest Service leading a Defensive Driver training. 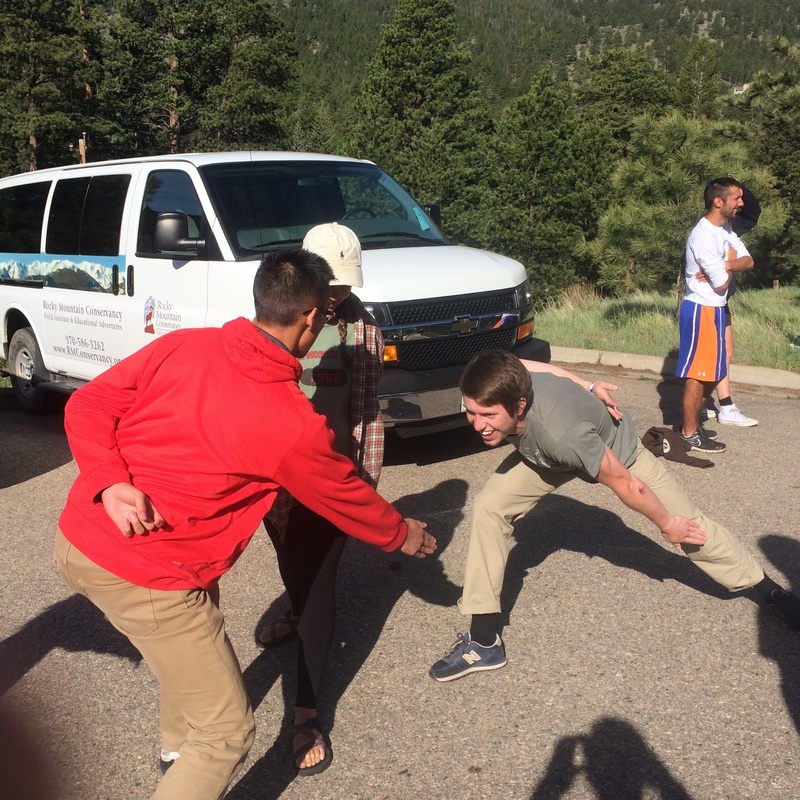 Before the USFS employees arrived we were able to get in a quick icebreaker to warm up for the day. 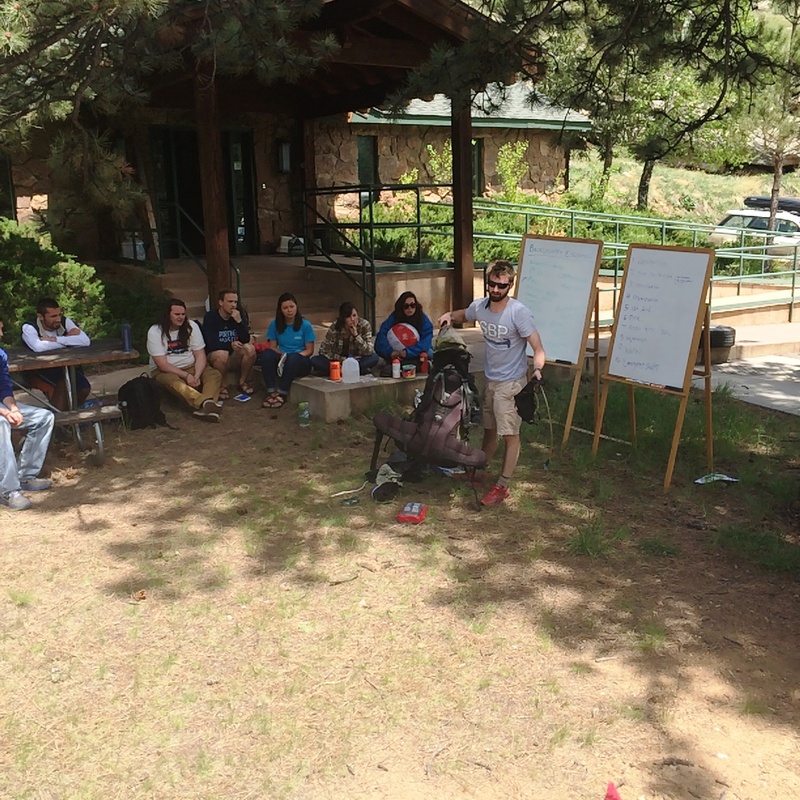 In the afternoon, the crew leaders took the helm and instructed their crews on LNT practices, back-country essentials, environmental hazards, and workplace safety. Reid, Boulder Crew Leader, teaches everyone how to pack and pack. 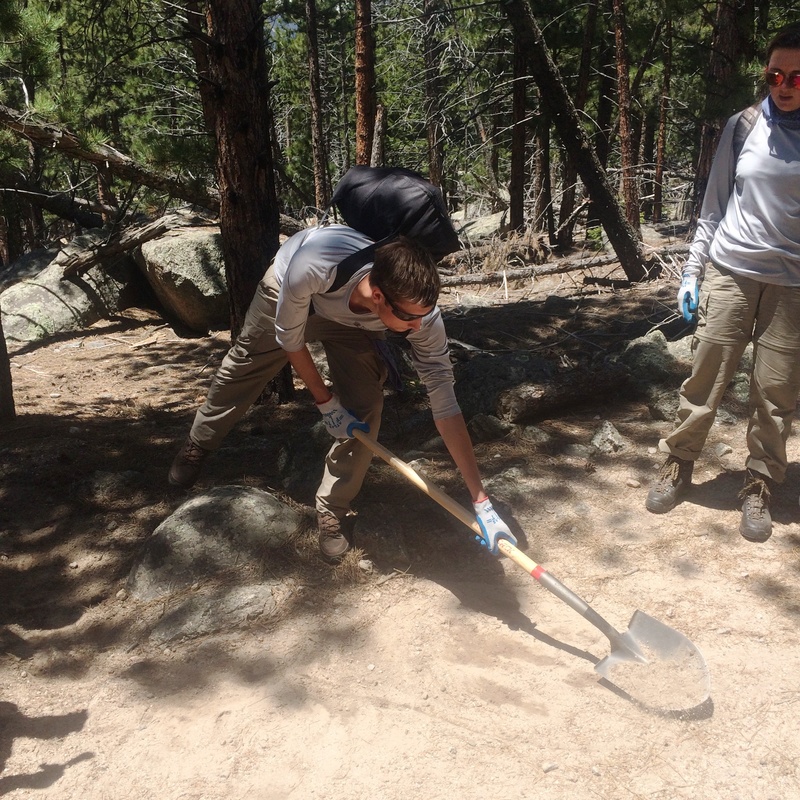 On Thursday, we were all with the National Park Service trails staff learning about trail tools and basic maintenance tasks. 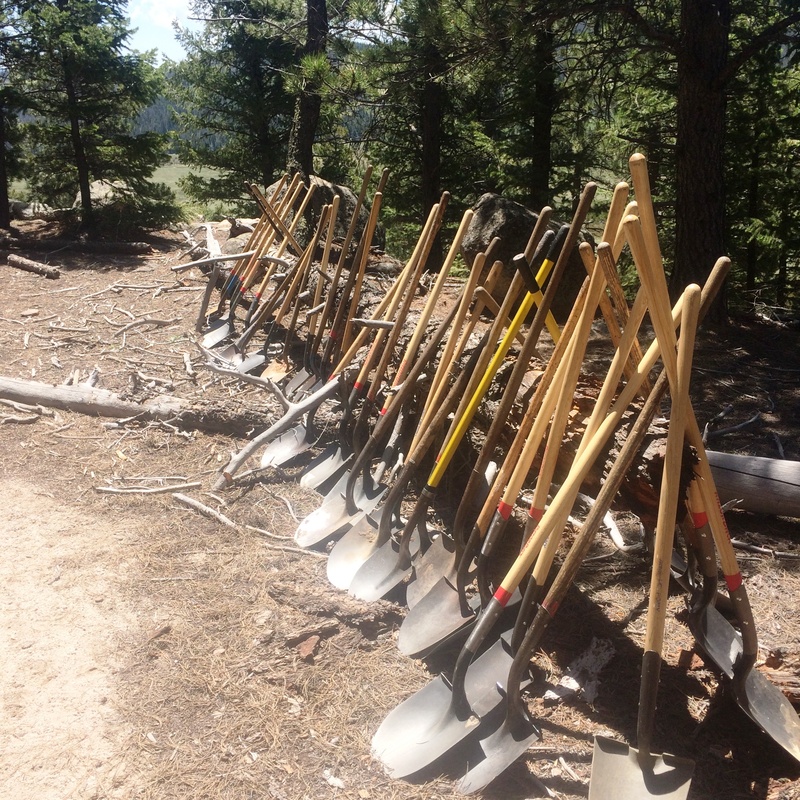 With thirty-six of us on the trail, it called for a lot of tools and, in turn, a large tool cache during lunch. 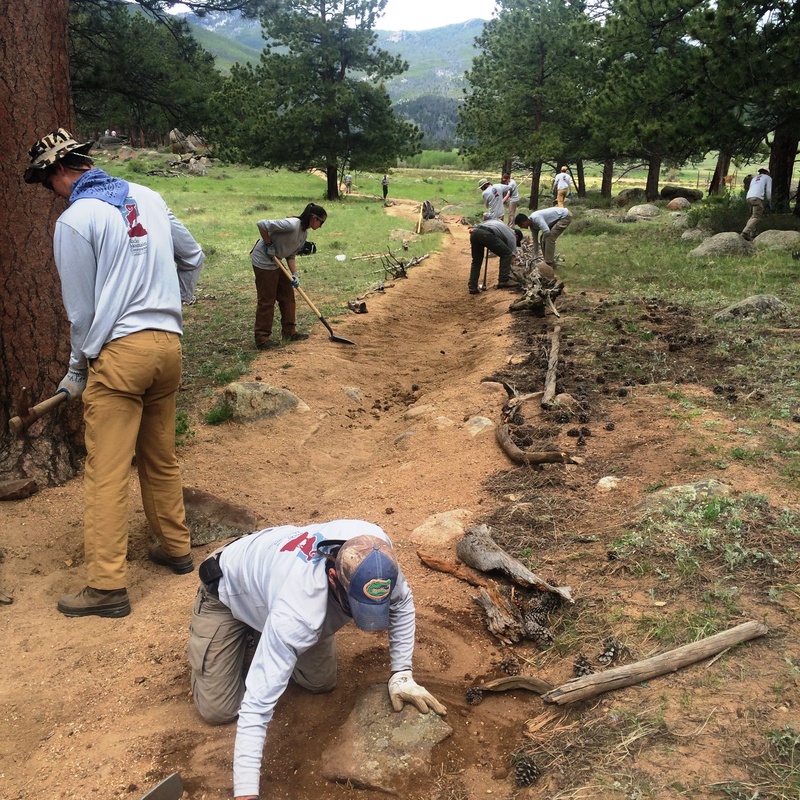 To finish up the training, the crews spent time on the popular Lawn Lake Trail learning about drainage structures on trails and how to maintain them. Lunchtime tool line during Trails 101 day. 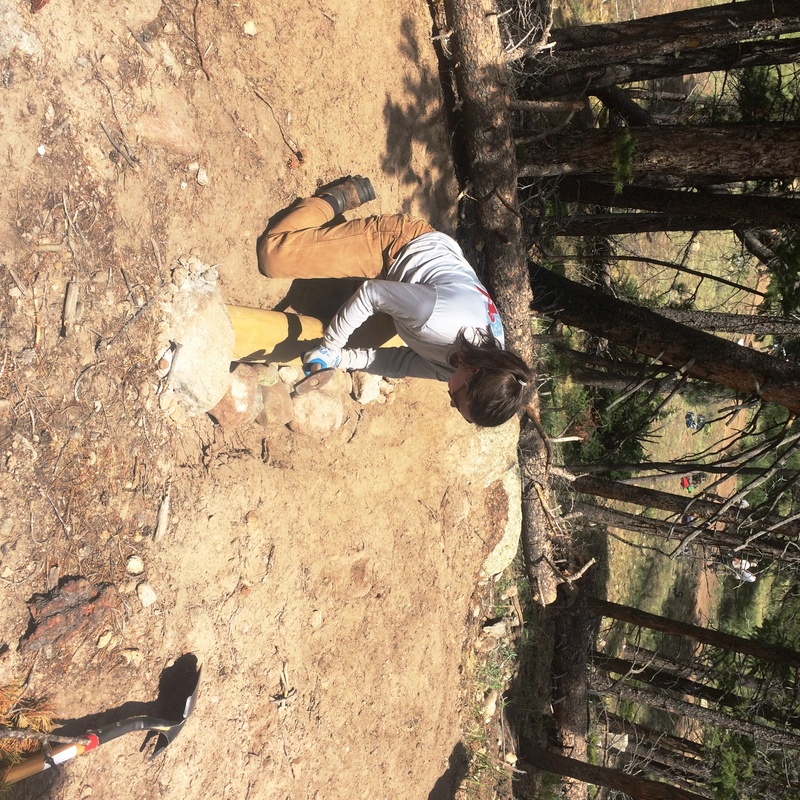 Galen, Red Feather crew member, demonstrates how to dig and maintain drainages on trails. 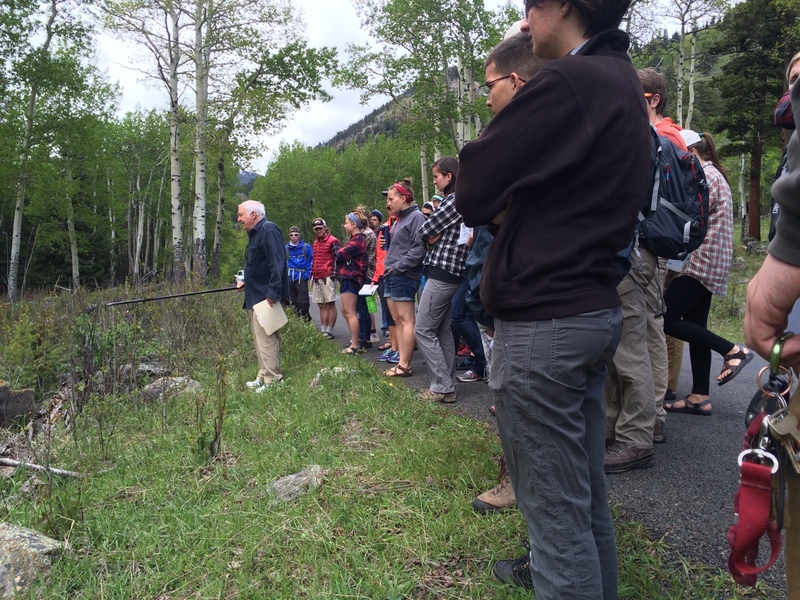 On Friday, the crews spent the day with local historian, Jim Pickering, to learn the ins-and-outs of Estes Park and Rocky Mountain National Parks development and establishment. 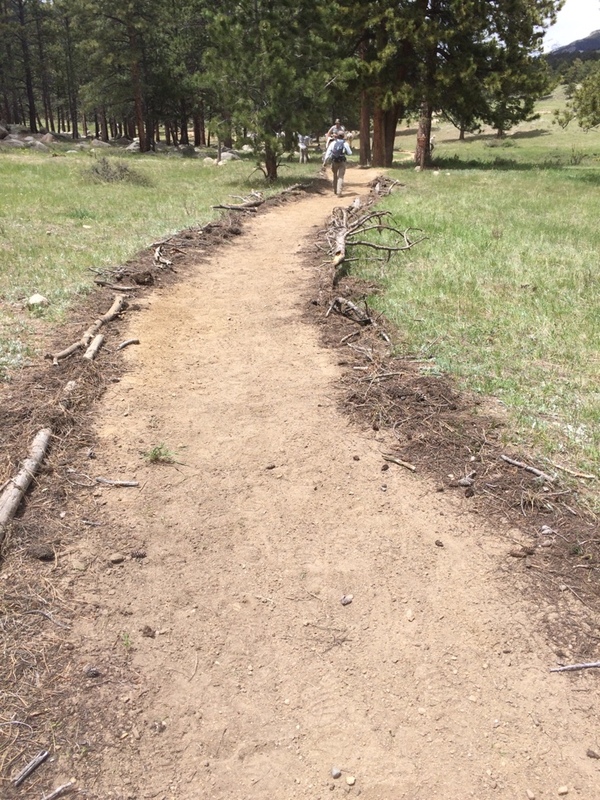 Saturday was National Trails Day! 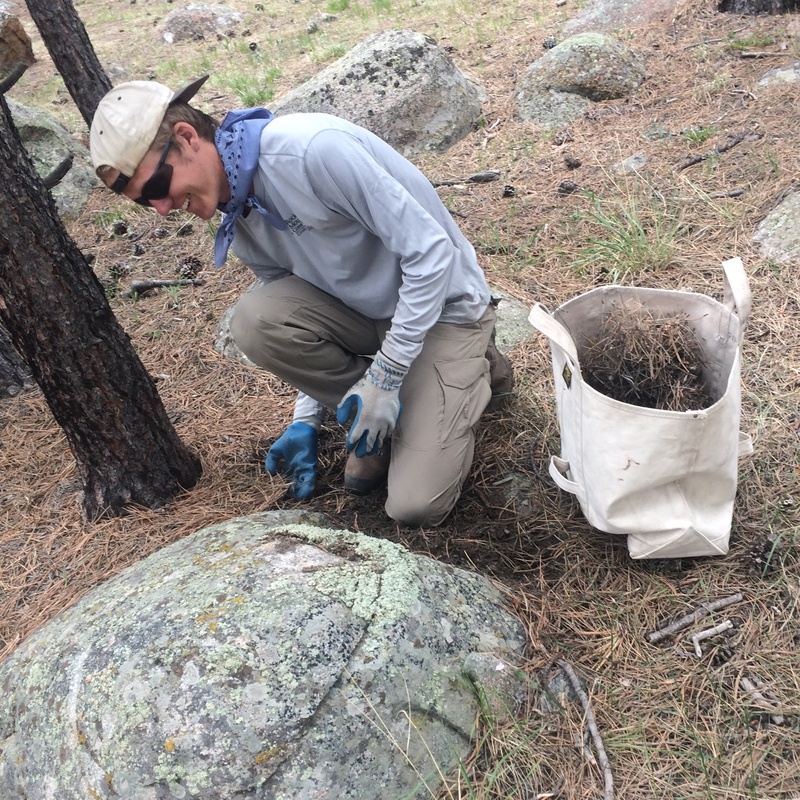 What better way to send the crews out into the field than a volunteer project with the National Park Service, Conservancy staff, and members. We spent the day benching, clarifying corridor, and repairing/installing log checks on a trail leading out from Upper Beaver Meadows. Gus, Rawah Crew Member, collects duff to clarify trail corridor. 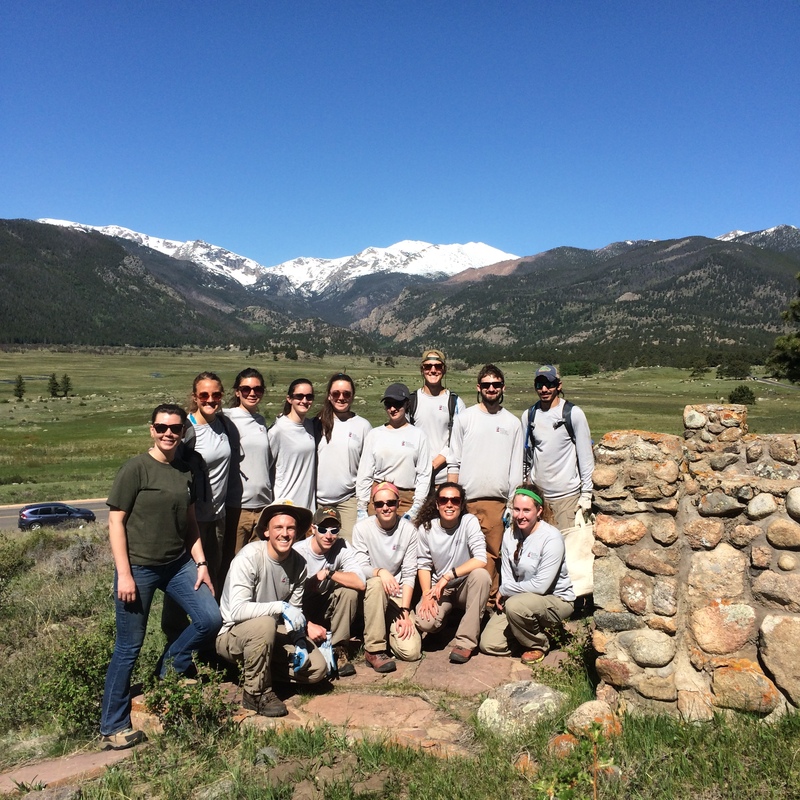 RMC-CC’s National Trails Day celebration with Conservancy Members.